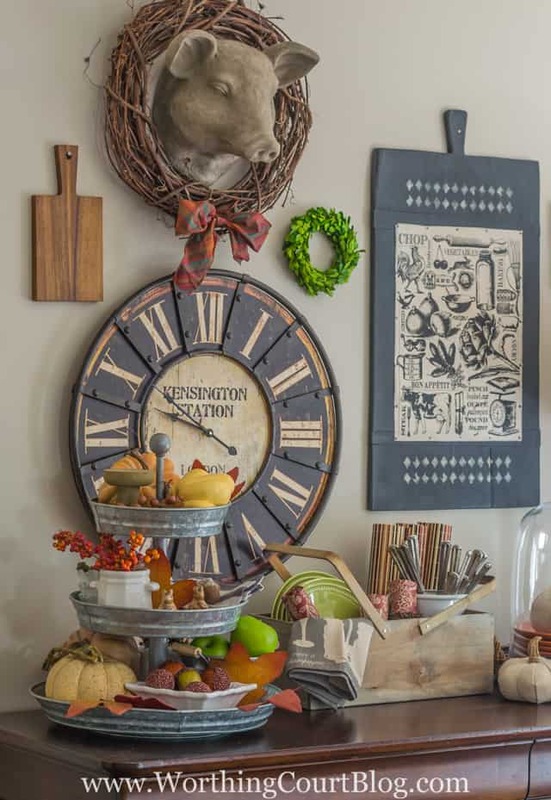 The Scoop Link Party #188 – Fall Home Tour, Fall Recipes, Pumpkins & More! Happy Scoop day, everyone! I can’t wait to see the inspiring projects that you have for us this week! I know it isn’t officially fall yet, but it sure does feel like it here in central NC today. Love it! My only complaint about fall is that it’s followed by Old Man Winter. Boo. I kicked off the season with my first fall post in our new house yesterday. I’d love to hear your thoughts! Hi everyone! I am happy that you have joined our party…either to inspire or to be inspired! After all, it wouldn’t be a party without our guests! We are super-excited here at The Scoop because our links have grown to over 500 weekly, making it even harder than ever to choose the features! Here in Georgia, a bit of cooler weather is bringing on thoughts of my favorite season…fall! But just in case you are not ready to go full-blown pumpkins, I created a TRANSITIONAL FALL WREATH using faux apples and bittersweet. I love all the contrast of the bright green apples! You will find a step-by-step tutorial HERE. As for us here at Confessions of a Plate Addict…we are so ready for pumpkin time, but there are none to be found yet. Sooo…I created these EASY BURLAP PUMPKINS. They require minimal sewing or there is a no-sew version as well! I am loving all the texture that they are adding to my fall décor! Here are just a few of the wonderful ideas that caught my eye this week! 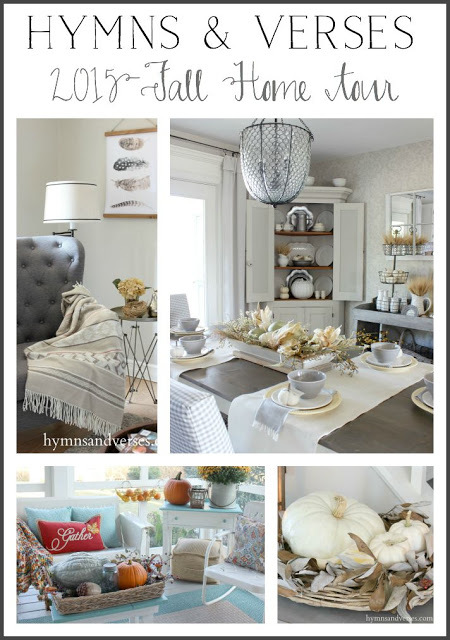 Doreen at Hymns and Verses took us on her beautiful FALL HOME TOUR…so much inspiration in one post! 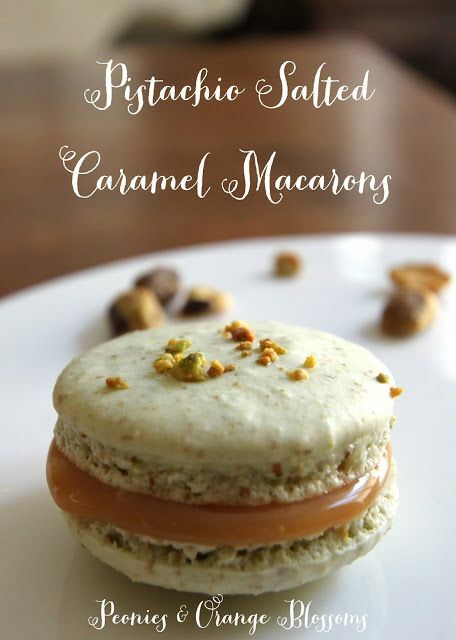 Angelina at Peonies and Orange Blossoms shared her PISTACHIO SALTED CARAMEL MACARON RECIPE…all of my favorites in one bite! Wow! You’ve gotta love these COLORFUL FALL FABRIC PUMPKINS from Bev at Flamingo Toes…not your ordinary DIY pumpkins! 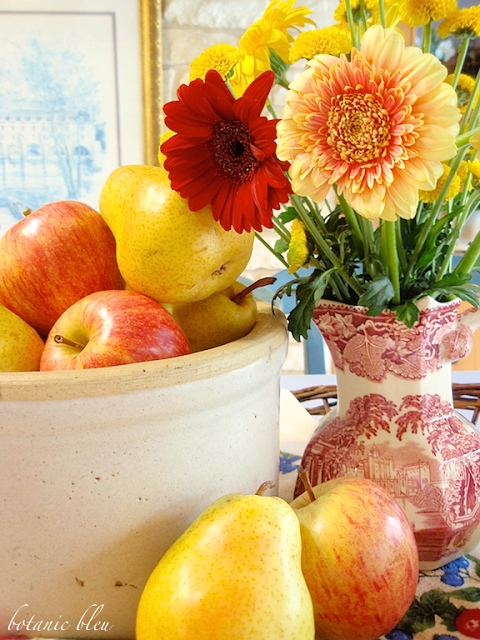 You know I loved this FALL RED TRANSFERWARE VIGNETTE from Judith at Botanic Bleu, with a touch of Provence in its red and yellow color scheme! And finally, Mary at Orphans with MakeUp showed us how she created her BOHEMIAN INSPIRED DRESSER. You have to see the before to believe it! 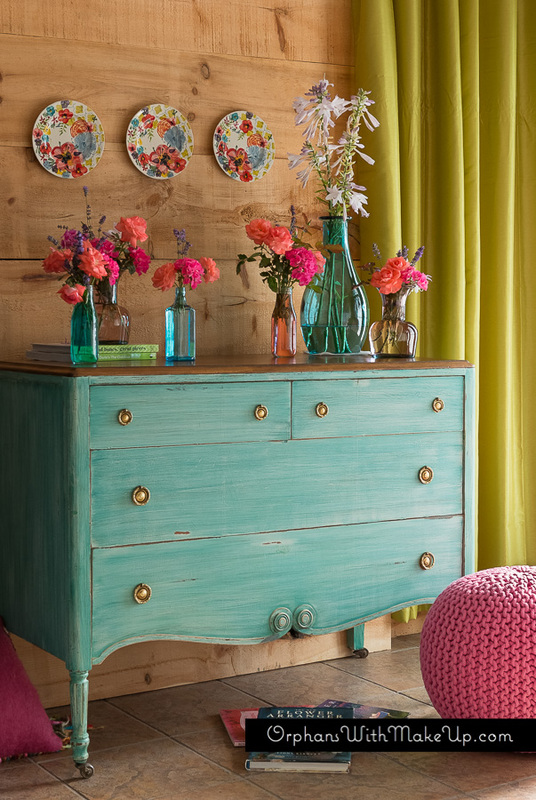 Suzy, I really love the use of this dresser for your table storage. It especially looks wonderful when the lamp is on. The entire display is terrific, and the peek of the table looks very fine. Thank you for co-hosting the Scoop – you are appreciated. 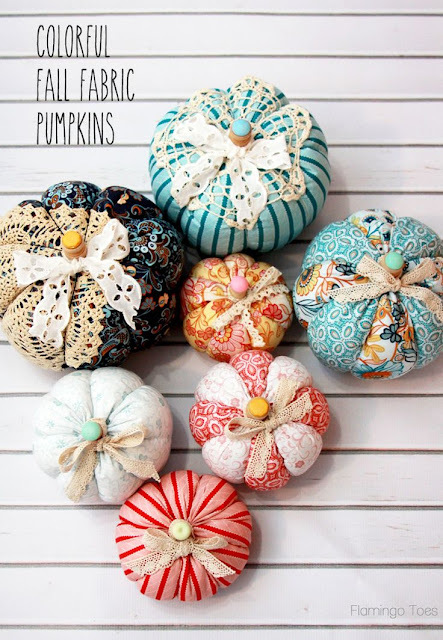 Thank you so much for hosting and for featuring my Fabric Pumpkins! Thanks for the party ladies and love the features!